We do, too, and that’s why we’re publishing this exclusive preview (narrated by Greene). 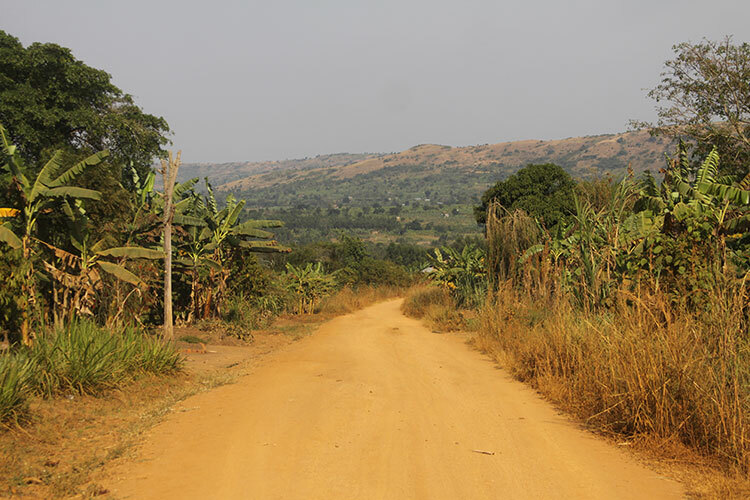 Amid dusty roads and banana fields sits a little village in southwest Uganda. 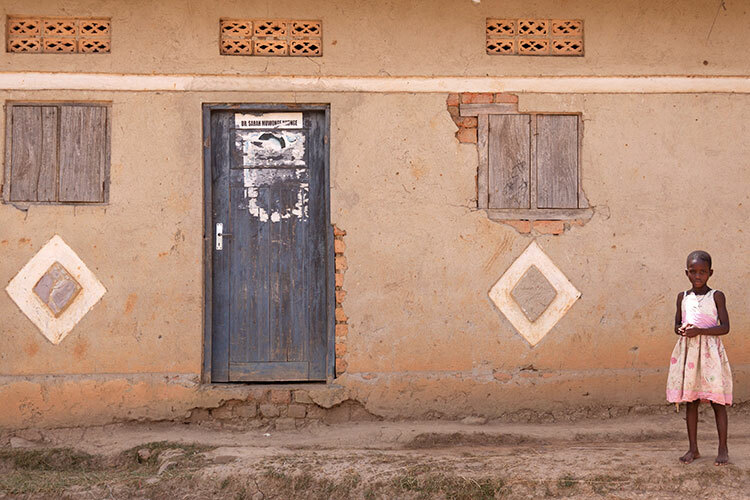 This village of Kabingo is near the equator, with a 1,000-foot elevation. Constant temperatures of 75-85 degrees Fahrenheit, low humidity, and a perpetual breeze create a very pleasant climate for much of the year. However, wet and dry seasons are being affected by climate change, leading to regular periods of dusty drought. 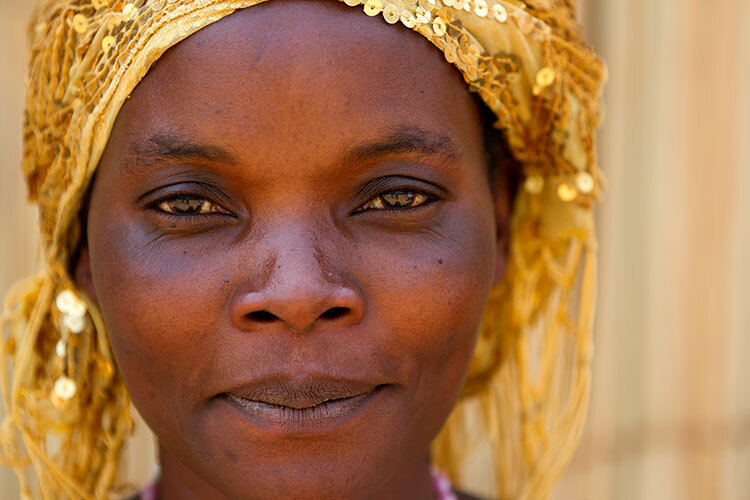 The region is home to 3,000 villagers who are among Africa’s poor—and the world’s poorest. Most of the villagers are sustenance farmers. They grow bananas, maize, beans, passion fruit, potatoes, and coffee beans. 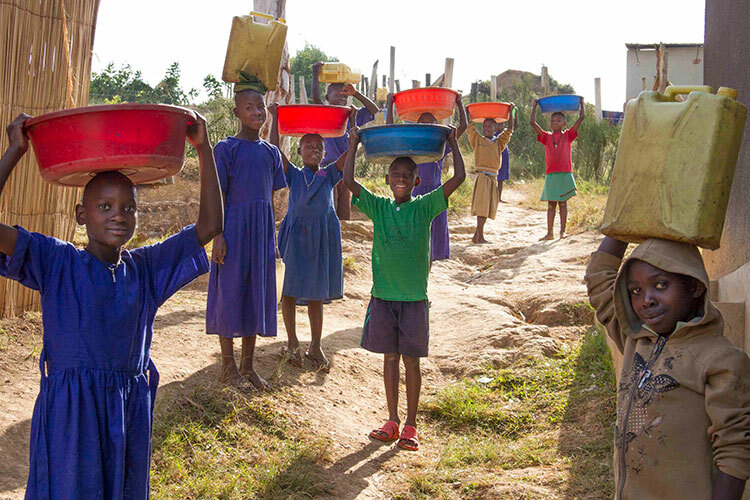 Each day, the children fetch the family’s water supply from shallow wells and muddy ponds. Electricity is just being introduced to the village; otherwise the villagers use paraffin to light their mud brick homes at night. Foot travel is the most common mode of transportation. 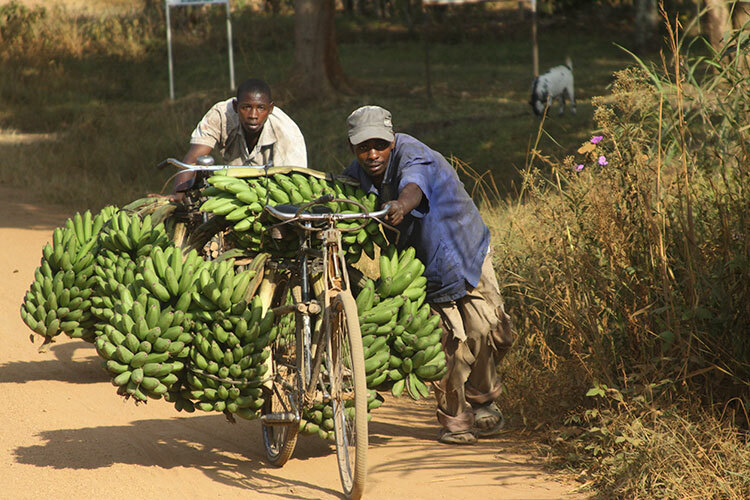 Men ride bicycles and use them as carts to push their bananas to market. 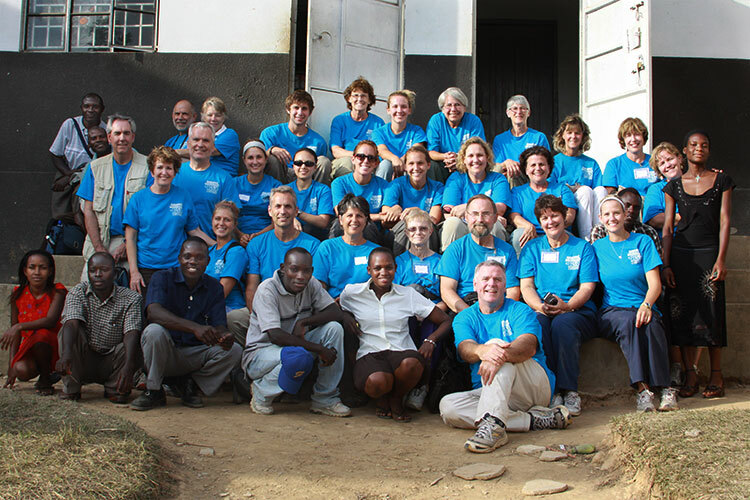 In July of 2010, a team of 27 Ohioans, took part in a medical mission trip to Kabingo. 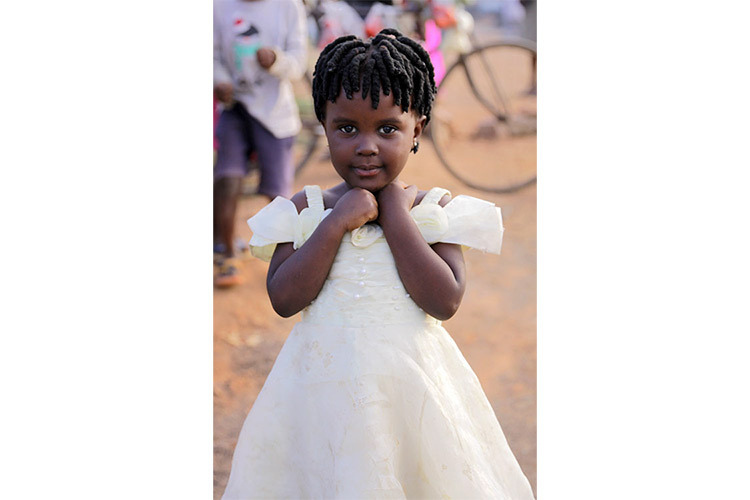 Since then, teams of missionaries have returned to Kabingo each summer for roughly two weeks. 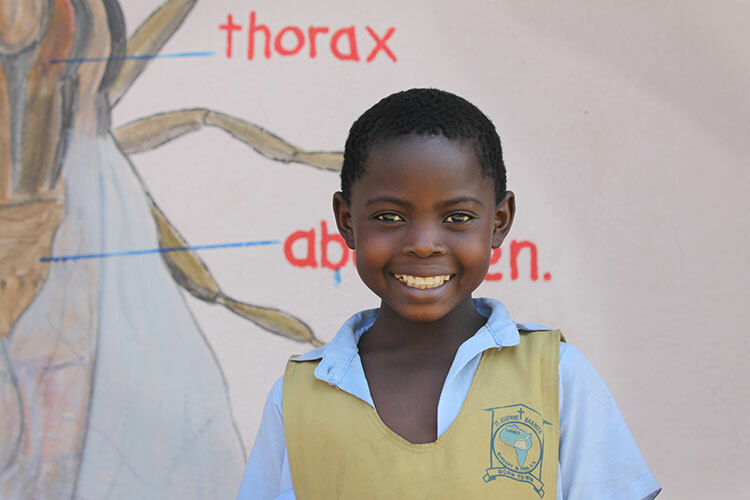 While the medical team treats thousands of patients for illnesses such as malaria, others hang mosquito nets, teach classes, work in the pharmacy, or examine eyes. No matter the task at hand, the mission team meets grateful villagers and delightful children. 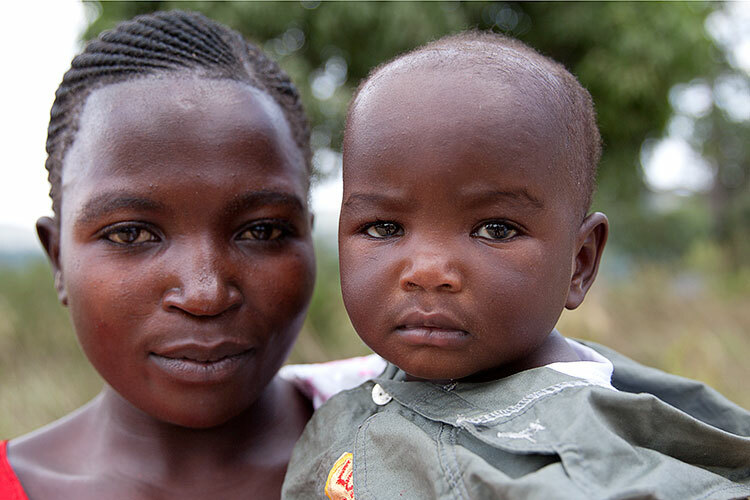 Hope for Kabingo’s mission is to partner with the villagers of Kabingo to empower them to break the cycle of poverty and provide hope for a better tomorrow. 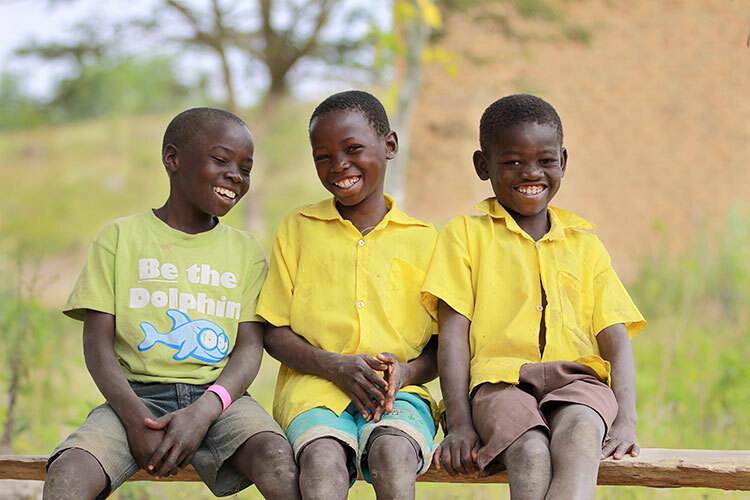 Hope for Kabingo envisions a region where there is real hope for a better life by improved health, educational opportunities for all age groups, reliable food sources, and a sustainable economy. I have participated in three Hope for Kabingo mission trips. In addition to documenting the daily activities of each trip, I provided Kabingo school children with their first-ever school portraits. The following year I took family portraits, something the villagers had never had, and gave them to the Kabingo families. I also took portraits of individuals, some of whom had never even seen their image in a mirror. 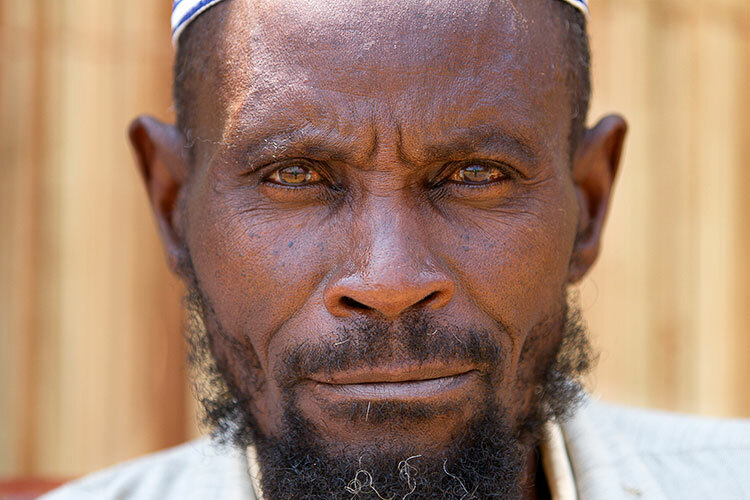 What resulted is an amazing portraiture collection that transports us to Kabingo and provides an intimate, unguarded view of the faces of Kabingo villagers. Upon viewing these, one gets a sense for their challenged lives, their toughness, their incredible spirit, and their undeniable beauty. Following my exhibition of portraits in June at Cleveland’s Harris Stanton Gallery, Faces of Kabingo Act 2 will take place at Hudson Fine Art & Framing Company starting tonight and running through September 22. 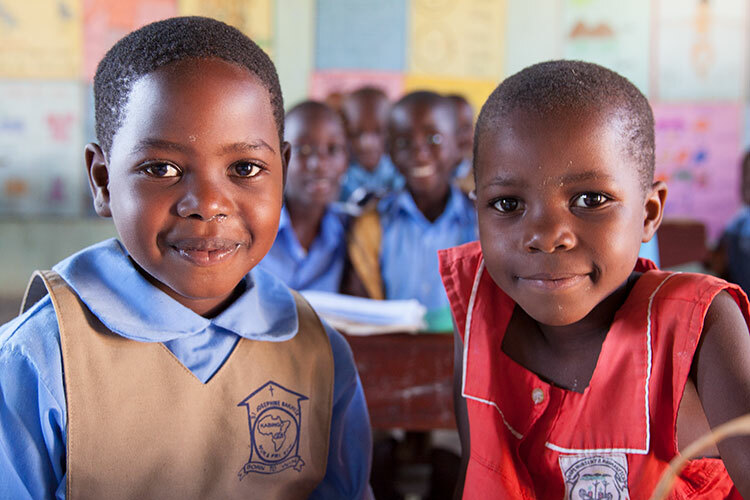 A free will offering and sales of beautiful baskets made by the Kabingo Basket Co-op will support Hope for Kabingo, a non-profit, deeply committed to the villagers in the Kabingo area of Uganda. The opening event will be held tonight from 5:30 to 8:00 p.m. Appetizers and beverages will be served. Their native clothing—handmade “gomez” dresses—will also be on display.